It began early, before Barack Obama would become president of the United States. What began, you may ask. The tendency for the supporters of Barack Obama to excuse any scandal or unpopular action by him with the words, "You can't blame Barack, he didn't know." What scandals? He didn't see, he didn't hear, he didn't know.
" - - - damn America" - "He didn't know." "America's chickens...have come home to roost." - "He didn't know." That mantra would be the staple excuse by the supporters of an incompetent scandal ridden president. * American hero border patrol agent Brian Terry was killed with a gun put in the hands of the Mexican drug cartel by this justice department in the scandal ridden "fast and furious" operation. The supporters of president Obama's role in this scandal: "He didn't know." * The Justice Department spies on AP reporters: "He didn't know." * The CIA spies on German leader Angela Merkel and other foreign leader allies "He didn't know." * American Ambassador to Libya Christopher Stephens begged this administration for security help but none was given. "He didn't know." * American Ambassador Stephens and three other brave Americans were killed in a violent terrorist attack in Benghazi, Libya, yet President Obama led this administration in saying that this was not a result of a terrorist attack but a spontaneous demonstration that got out of hand due to an American's U-Tube video [that no one saw-and that no one except the despicable NY 'Pravda' Times believes was the cause] "He didn't know." * The IRS right after the 2010 election sweep by the tea party led GOP, targeted those same tea party groups and other conservative groups and individuals who opposed this president. "He didn't know." 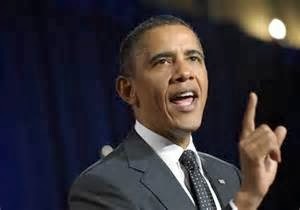 * President Obama: "If you like your health insurance plan, you can keep your plan, period!" "He didn't know." * President Obama: "If you like your doctor, you can keep your doctor, period!" "He didn't know." * President Obama: "Shopping for a plan on healthcare.gov will be as easy as shopping on Kayak.com or Amazon.com." "He didn't know." Tales, always trying to be fair and balanced does not believe that president Barack Obama is as dumb as his supporters want us to believe. The Tales conclusion: President Obama knows of the scandals and knows that his statements were a lie, but just doesn't care. Update: Since this post was published we have had lost Lois Lerner e-mails and the Veterans Affairs scandal which Obama also knew nothing about. What is that old Russian saying? "Hope for the ..." no, not that one. Ah, yes, "If only the Czar knew" Ye Obama refuses to "know" Truly, President Shultz.